Leave it to Trump to tell a lie that big. 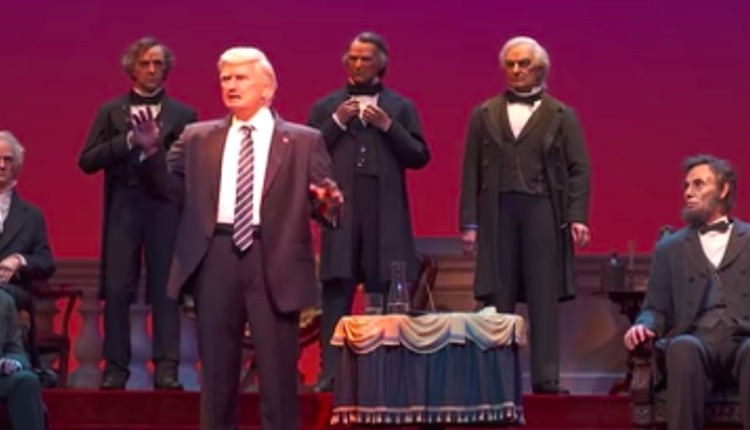 I will never get tired of writing about the bizarre drama surrounding the Donald Trump animatronic figure at Walt Disney World. It’s customary for Disney to run in and record the newest president-elect shortly after their victory in order to get things started, but of course there’s the corse of the issue that Donald Trump, as a gross rude man with some historically low approval ratings, is such a strange thing to see in The Happiest Place on Earth. 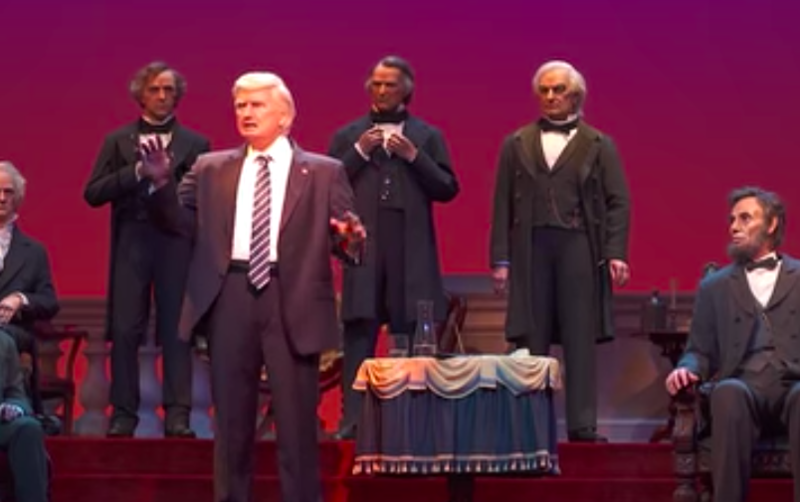 So far we’ve shown you the surreal video of Donald Trump talking in the exhibit, and covered the comedian who heckled the machine during their visit to the park, but now we have a new nugget, courtesy of The Daily Beast quoting from White House aide’s Cliff Sims’ memoir Team of Vipers: Donald Trump wanted the animatron to say that he invented the skyscraper. Note: Donald Trump did not invent the skyscraper, which was credited to Major William Le Baron Jenney in 1880, Chicago — about 66 years before Donald Trump was born. Hell, there were skyscrapers in New York as far back as 1889. So this is an insane thing to ask to put into an ostensibly educational showcase. Trump might be used to lying, but to ask such a thing of the Disney corporation! Sir! Lying on behalf of Donald Trump is not Disney World’s specific idea of weird! You have to look at literally anything else! Said “The Daily Beast”: Disney brass objected to the request, saying that Americans hadn’t actually invented the concept of a skyscraper—it’s “just a taller building,” one protested—and Sims agreed to strike the line from the pre-recorded Disney speech. But the anecdote illustrated one of the major themes that has defined the Trump era: The president, and many of his top aides, have had immense difficulty grasping the enormous duties of their office. So remember, no matter what happens next to the president, we will always have idiotic nuggets like these to help us sleep through the night. What do you think of this weird as heck story? Let us know in the comments or on Twitter at @WhatsTrending.